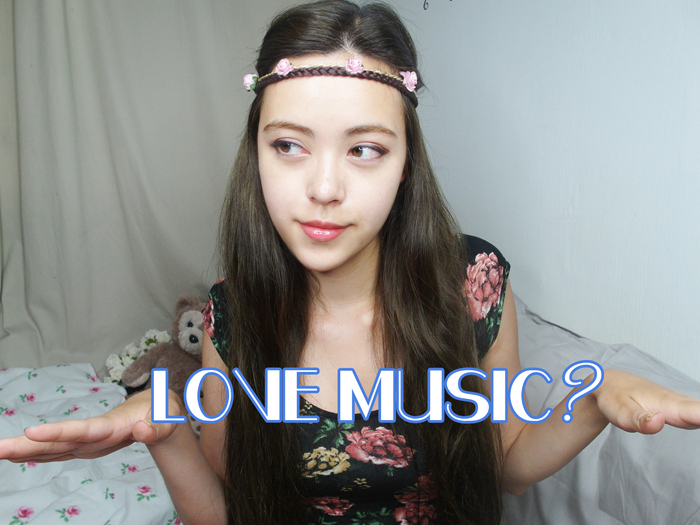 While not everyone may be a huge music fan, I'm still sure music is part of your life in some way or another. I've gone through the indieish-emo-songs phase, which generally just made me sad lol. I hardly listen to those songs anymore. I've always liked RnB & Hip Hop (yes although it's somewhat an "uncool" thing) & now I tend to listen mostly to those because they're way more upbeat. If you asked me to pick a favourite artist I would actually say Eminem. I love Eminem! I wanna introduce a new music streaming service to you guys! Music Anywhere is StarHub’s online music store and they have collaborated with KKBOX – a leading music & entertainment service provider to offer you unlimited streaming of over 10 million songs from 500 international & regional music labels! Other than music streaming, you can also download songs & Connecting Tones from StarHub’s Music Anywhere! 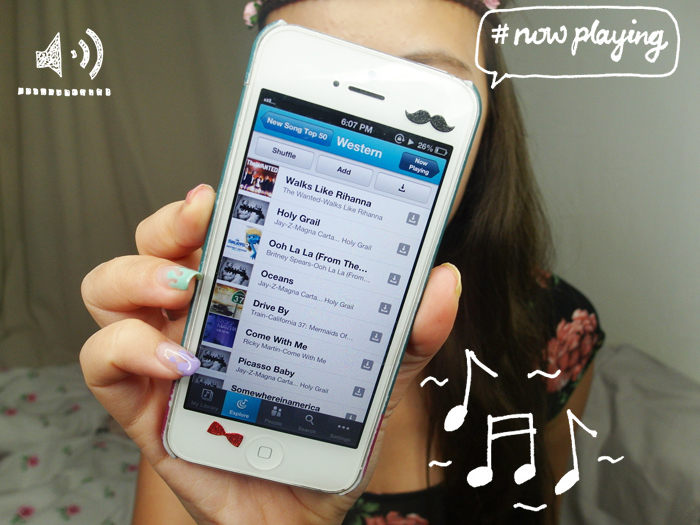 Get FREE 2 months unlimited music streaming when you sign up now! Find out more at www.starhub.com/music! The difference between a streaming service & a program like iTunes or Windows Media Player is that the latter are simply music libraries. You obtain your own music files, then store & play them there. With a streaming software like KKBOX you actually can listen to entire songs without having the actual music file on your computer (I hated downloading a song, not liking it & then having to delete it). 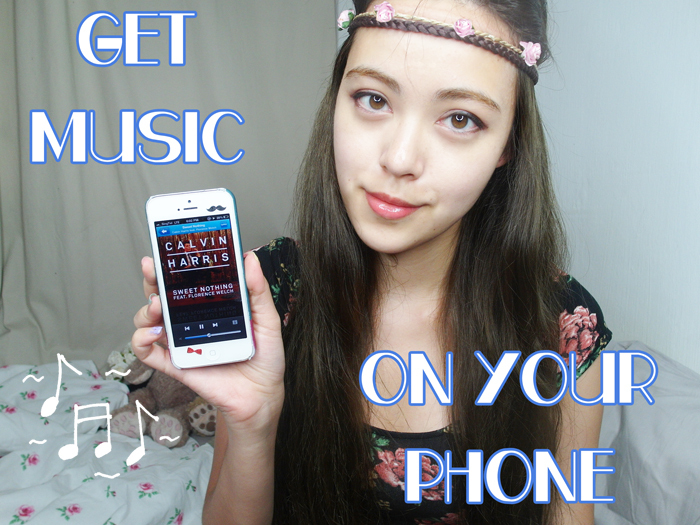 If you do want to keep the song, you just opt to save it to your library & you get it instantly! No long downloading times whatsoever or worrying about song quality! 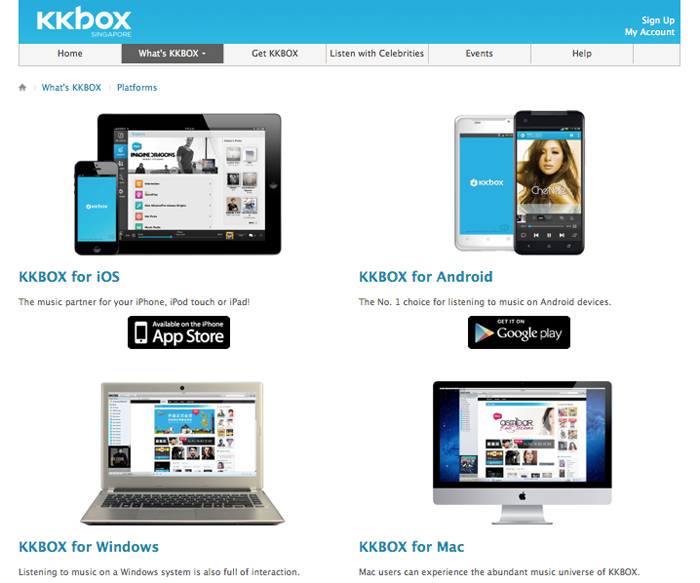 You can download KKBOX as a program on your desktop, or as an app on your smartphone! I decided to first download it as an app since I don't keep many songs on my iPhone. Quick glance at what the app offers! After logging in to my account, I starting exploring the app by first searching for a song! I know, not cool at all. But she has new songs so I thought of her. I narrowed my search down to Selena Gomez & The Scene (meaning songs they did together)! Once at the page you are able to share it (FB/Twitter) & Follow. This will keep you up to date with new songs, albums & so on! StarHub - KKBOX is really interactive in this sense, as it allows artiste to communicate with followers! More on that later! Right: Song played when phone is locked! Songs will continue to play even if you exit the app. Quick look at other search results! 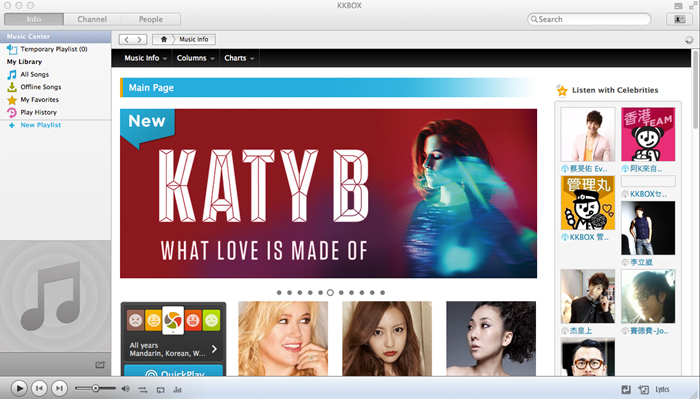 Starhub - KKBOX will also suggest which are the artist's Top Hits, which is really convenient! Sometimes I hear a song but didn't catch the title & odds are, it's a popular new release. Related Artists also allows you to check out songs of a similar genre! You can get random songs suggested to you based on your preferences! You can adjust the Genres, Time frame & Mood of the type of songs you want to listen to! The previous option was the Quick Play! Next I clicked on Top 50. You can add a song to your Favourites! These will be the ones you want to listen to often! As I mentioned previously, you can stream the whole song without having it in your actual Library. Oh yes & spot my picture below the album cover hehe. You can see the songs you've listened to (e.g. Adele) & subsequently decide if you want to keep them in your library, simply by tapping the download button on the right! Organising your library is really easy as well! Another great feature is that each line is highlighted as it is sung! Great for singing! 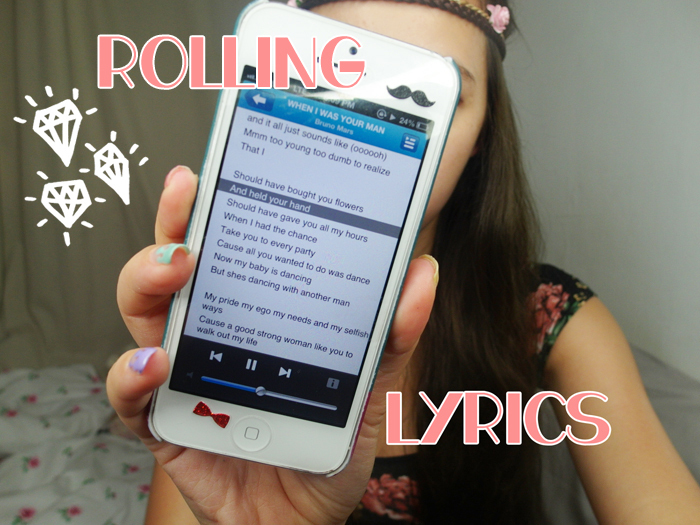 Haha move over karaoke, I can do this with my phone/laptop! And next, checking out the People tab on the app! 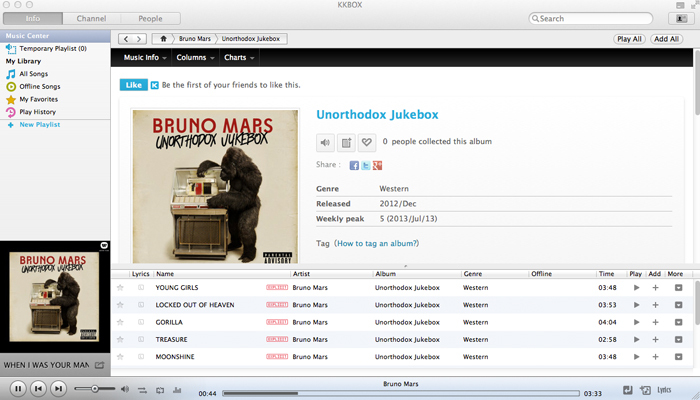 This is where StarHub - KKBOX is very different from a conventional music library! You have profiles in the app as you can follow other people & they can follow you! Music fans can check out what their friends listen to, or what other fans of the same band/singer are saying & playing! Celebrities & DJs can participate as well, which makes the platform really interactive! *Monthly Star Treats - monthly threats with your favourite stars! *Star Dreams - win a chance to get up close & personal with your favourite stars! In May the Star Treats were autographed premiums from The Wanted & Grayson Chance, while in June 40 fans got to take a picture with Sammi Cheng & Andy Lau! Find out more about the Star entitlements at www.starhubstarperks.com! I don't have a real preference between playing songs on my phone or on my laptop! 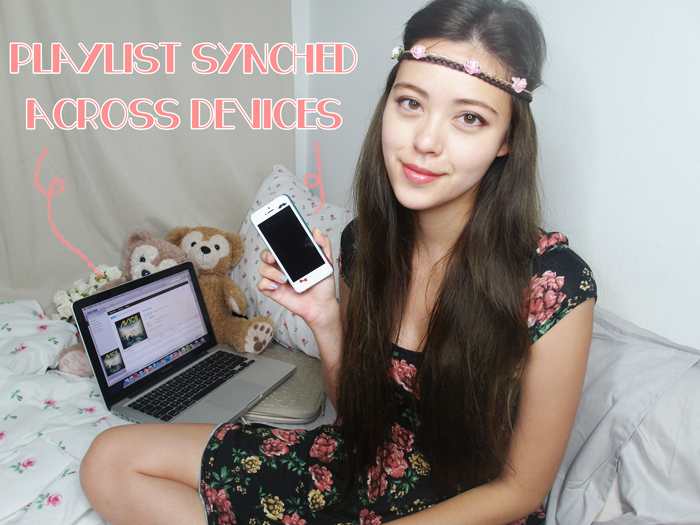 Many listen to songs on-the-go, while others like to have it on while working/chilling at home. If you take public transport please use earphones/headphones at a reasonable volume hor! 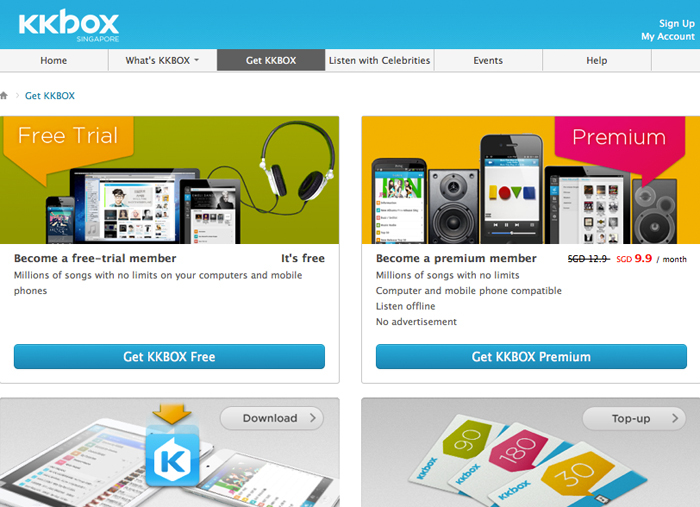 If you prefer it on your desktop, StarHub - KKBOX is just as convenient! You can download the songs (the speed is incredibly fast) to make them Offline Songs, meaning you can listen to them anytime even if you have no Internet connection! 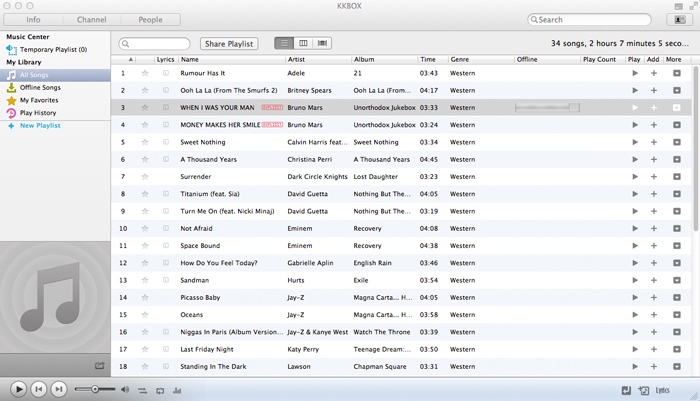 Not sure why so many of Bruno Mars' songs are marked Explicit hahahaha. Anyhow, I love the quality of all the songs you get on StarHub - KKBOX, alongside with the availability of correct lyrics as well as album artwork! Gone are the days where you had to search these online manually, or download 3rd-party applications to find these for you. And there is always the issue about song quality! >:( How many of you have downloaded songs that turned out to be remixes, or weird recordings, or part of a radio show, or a concert performance? Annoying! Oh & personally I'm really particular about my song titles... I hate getting a song file with the title in lowercase, or incongruently so & so on. Overall ultimately StarHub - KKBOX provides proper song quality with all related info/artwork, as if it comes straight off the actual album! Also gone are the days where people bought whole albums (really, how often do you even like 50% of the songs on them?)! Another great thing about StarHub - KKBOX... SYNCHED ACROSS ALL DEVICES! What's that about taking a cable to connect your phone to your desktop to transfer songs? Ain't nobody got time for that! Whatever you play, download or do on one device is automatically updated on others! Love it! 6 comments on "Music Anywhere x KKBOX"
Sophie you're so pretty!! And omg me too! I'm also super particular about my song titles and all! They CANNOT be in lower case!! !